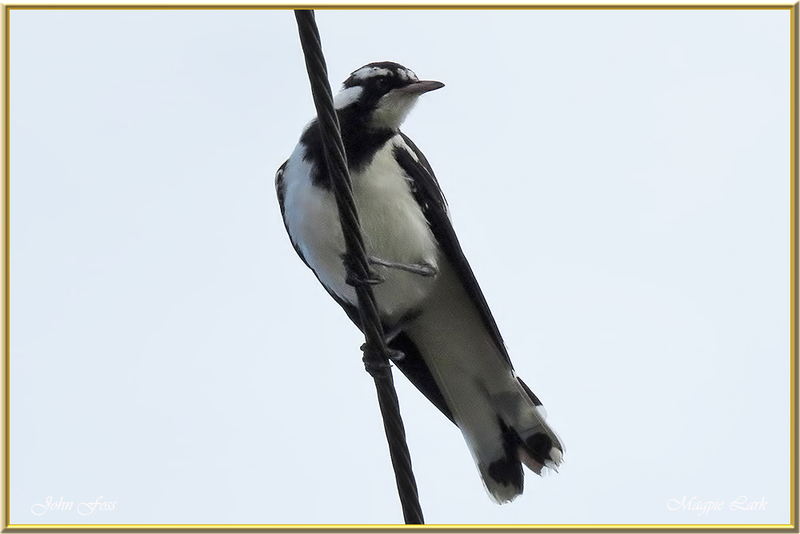 Magpie-lark - both male and female are of similar black and white appearance. The pattern though is different. Described as a "musical genius with a surprising talent". Not so much a tuneful call but they sing in duets! 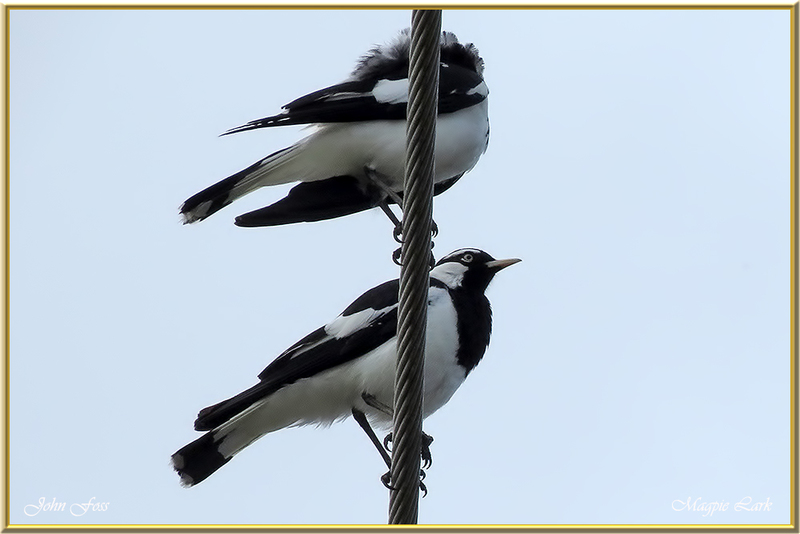 With a flare of their wings or flick of a tail, magpie-larks seem to mark time for each other during their songs, in much the same way as an orchestra's maestro flourishes their baton! Duets can be so precisely coordinated that partners sound like a single bird. 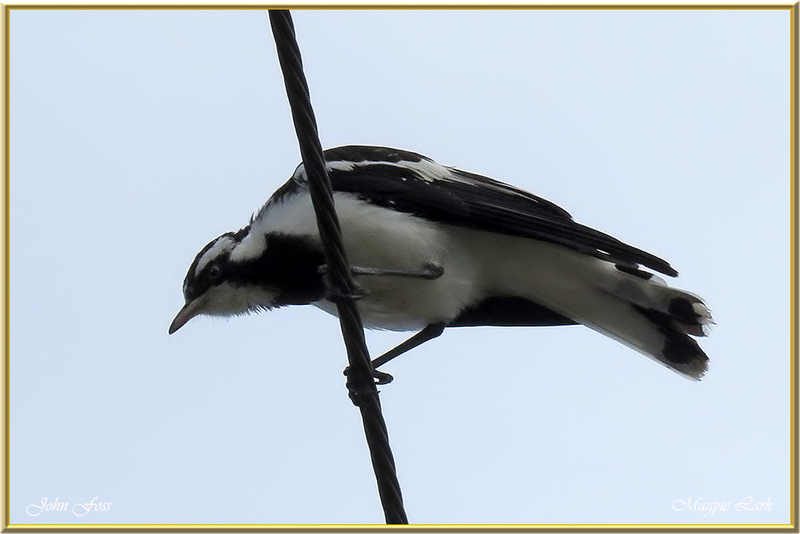 I found these birds fascinating to watch and listen to in Bundaberg Queensland Australia.